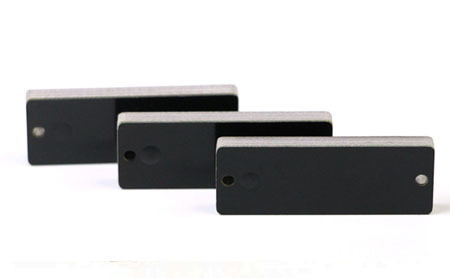 A small form factor and rugged IP68 RFID tag OPP3613 specially designed for metal objects. Performance of OPP3613 is so high that it can be read up to 4.7 meters of range, it is encapsulated while injection molding process to ensure the cavity is truely air tight. Those advantages allow OPP3613 to be applied to numerous types of applications, such as coating, heat treatment, molding, painting and many other production processes. OPP IOT is a leader in Radio Frequency Identification with the widest selection of custom built RFID tags and labels available. OPP IOT offers dozens of unique designs and constructions RFID tags. Our experts have a proven track record in solving your most challenging RFID problems and can assist in implementing a strategy that is right for you! OPP IOT also can create/develop RFID tags to meet your unique material property or specific environmental requirements. Innovators in identification for more than 10 years,OPP IOT designs and manufactures RFID tags for harsh environments and long-term durable outdoor applications. Our expertise in encapsulations, materials and partnerships with inlay makers like Alien, Avery, SmarTrac, Xerafy, HID and TROI allow us to provide multiple solutions to fit your environment. OPP IOT Technologies CO., LTD.